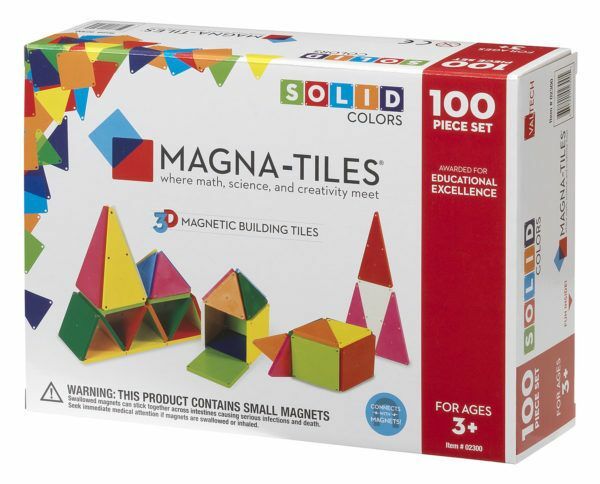 Magna-Tiles: where math, science & creativity meet! 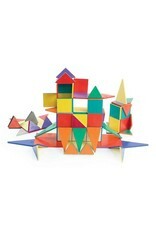 An excellent learning tool that teaches children how to create patterns on a flat surface and build 3-D objects. 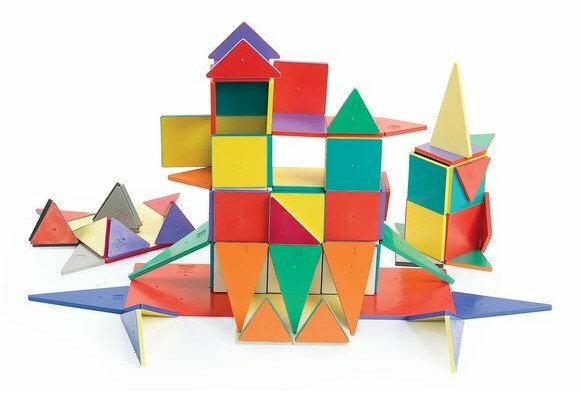 Little hands can easily work with tiles that come in a variety of shapes and colors made of safe, high-grade plastic securely encasing thin magnets that attract on all sides. 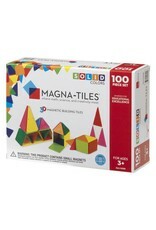 Lay tiles out on a flat surface and simply lift up to create a 3-D structures. Use the idea guide or work on your own. Works with other Magnatile sets - add more for even bigger builds!